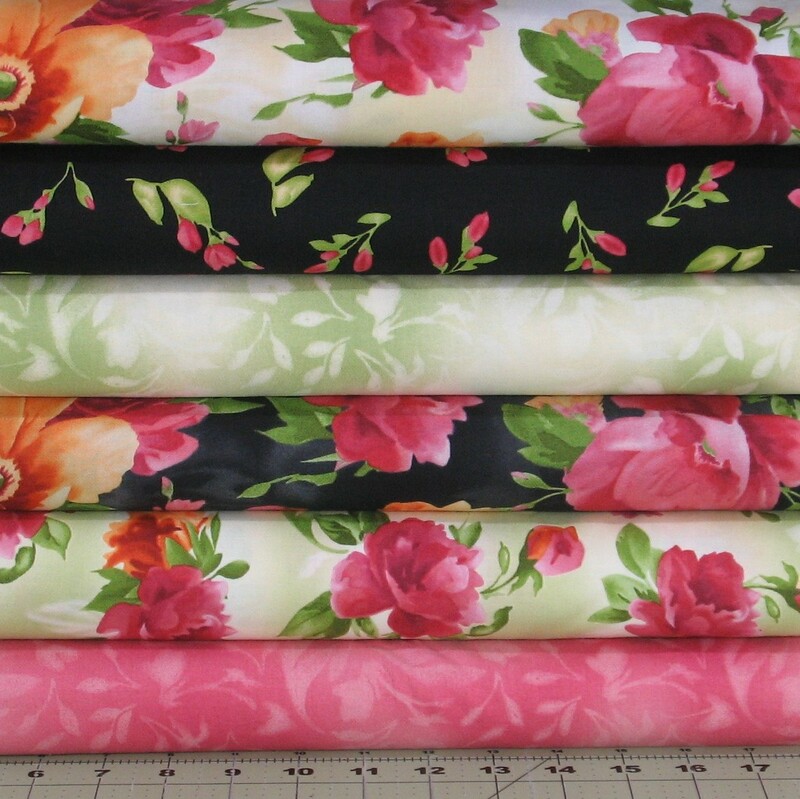 Patchwork Parcel's Paradise Fabric Bundle features four yards of orange, pink, green and black fabrics from Maywood Studio's “Paradise” collection. Bundle includes six coordinating fabrics - one yard of a focal print, one yard of a light/blender fabric, and four 1/2 yard cuts of coordinates - plus a pattern card for a traditional block. 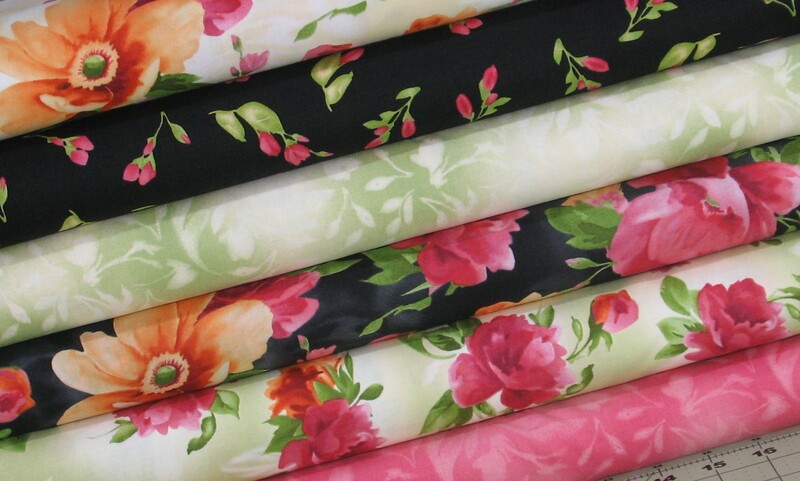 Fabrics are all quilt-shop quality fabrics. Shipping is via USPS Priority Mail.